Despite Japara Healthcare Limited (ASX: JHC) and Regis Healthcare Limited (ASX: REG) suffering share price falls since listing earlier this year, investors still think they can cash in on aged-care floats. Despite Japara Healthcare Limited (ASX: JHC) and Regis Healthcare Limited (ASX: REG) suffering share price falls since listing earlier this year, investors still think they can cash in on aged-care floats. Private equity group Quadrant floated Estia Health Limited (ASX: EHE) last Friday. The shares listed at $5.75 before falling 18% and recovering slightly to $4.80. As usual, the only winner here seems to be Quadrant. 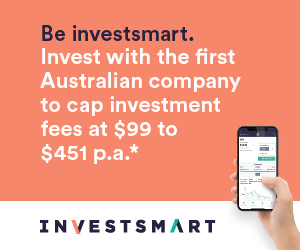 Quadrant initially invested in Estia in October 2013 before greatly expanding the business in July 2014 through the acquisition of unlisted aged-care operators Padman and Cook Care. Quadrant's original investment in Estia totaled $90m. $40m in equity was combined with a $50m loan note where Quadrant collected interest payments of 15%. The Padman and Cook Care acquisitions were highly geared even by private equity standards, with only $19m of the $316m combined purchase price being funded with cash. Quadrant's share would have been $11m based on its 58% stake in Estia. So if we assume Quadrant's total equity investment was $51m ($40m $11m), in just over a year the company has made a 116% return after selling 19m shares at $5.75 in the IPO for $110m. Not to mention it banked $8m of interest from the $50m loan that was redeemed, and the company still owns 30.8m shares in Estia currently valued at around $150m. All in, Quadrant has potentially tripled its money in a year. Not bad when you consider the All Ordinaries Accumulation Index has returned 7.8%. That's not the end, though. In private equity investments, third-party investors in private equity funds are called 'limited partners', or LPs. These are usually pension funds and the like getting charged 'two and twenty' i.e. an annual base fee of 2% of assets under management plus a 20% performance fee. Theoretically to align their interests with those of their clients, staff also get to invest in deals. They're called 'general partners', or GPs. GPs only usually invest small amounts, however. It was 1% at my former employer. But the deals become seriously lucrative for GPs if they earn performance fees – usually 20% of gains above the minimum return they promise their LPs (usually 8% per annum). The success of the Estia deal means Quadrant will be entitled to its 20% performance fee. After subtracting the $8m minimum return payable to their LPs, Quadrant staff have potentially turned a mere $1m investment into $42m (20% of $209m). Unfortunately only Quadrant knows the exact numbers, but in addition to their base pay and other bonuses perhaps Australia's retail sector isn't dead yet. To get more insights, stock research and BUY recommendations, take a 15 day free trial of Intelligent Investor's Share Advisor now.